Rabbi Daniel Epstein is the Senior Jewish Educator at the GW Hillel, where he serves over 3,000 Jewish students in the Washington, DC area. 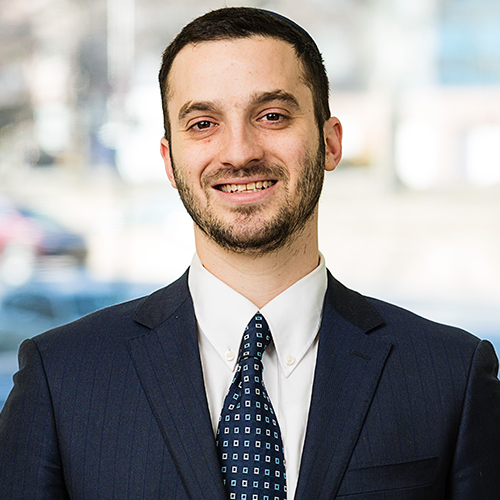 He previously worked for over 5 years as a financial adviser, bringing in millions of dollars to the bank, until he realized his true calling was to teach and learn Torah. Since then he has spread his love of Torah in camps, schools, colleges, shuls , hospitals and nursing homes. Epstein prides himself on being a Maggid (professional storyteller), lover of life, and father of three wonderful children, Jacob, Emunah and Ahava. Epstein knows over ten thousand stories which he shares in his weekly Torah e-mail, danstorah.com, to learn more and subscribe.